It has been 8 weeks since running my 2:29:38 marathon in Rotterdam, which gave me the standard for the 2016 Olympic Games. And I think I can finally say I have recovered. Normally it wouldn’t take nearly this long to recover from a marathon. After all, it was my eleventh marathon so I guess I should know. Physically, recovery wasn’t too bad. I had a minor pull in my right hip, which hindered my training for the national 10 km championship in Ottawa so it ended up being just a fun season finale. But emotionally, I needed much more time to recover. As more time passed and the further removed I became from my Rotterdam performance, the more I respected and realized its significance. I was incredibly grateful and needed time to fully appreciate everything that happened. Making the Olympic standard on my first attempt, just 11.5 months after fracturing my femur, while being fully mentally prepared for three attempts, was something I would not take lightly. I wanted and I needed to smell the roses – figuratively, and literally – the ones from my coach, husband and children. The time was well-deserved and necessary, to let it soak in. And I certainly was not going to jump into too much training or racing, too soon, for no reason. I have clearly proven that I am the type of athlete who does well, starting from scratch. From nothing. After three babies and a broken leg, I knew what my body and mind needed. After racing the 10 km national championships, while waiting to provide my sample for doping control with Linsday Carson, she suggested that we do a cool down together. On any other occasion, I would have taken her up on the offer. But I was done. Done. Done. So I politely declined her offer. Instead, I enjoyed a quiet walk alone back to the hotel, had some dinner with speedsters, Lanni Marchant and Natasha Wodak, enjoyed a hot shower, got into my pyjamas, and savoured a scrumptious chocolate bar while visiting with my roommate, Catrin Jones, who would be running the marathon the next morning. I too was going to have an early start because I was again going to take part in the marathon broadcast. In the downtime after Ottawa, life was busy at home. The day after my return, Jonathan left for a week of work. Then I left for Calgary, the day after his return. Talk about two ships passing in the night! 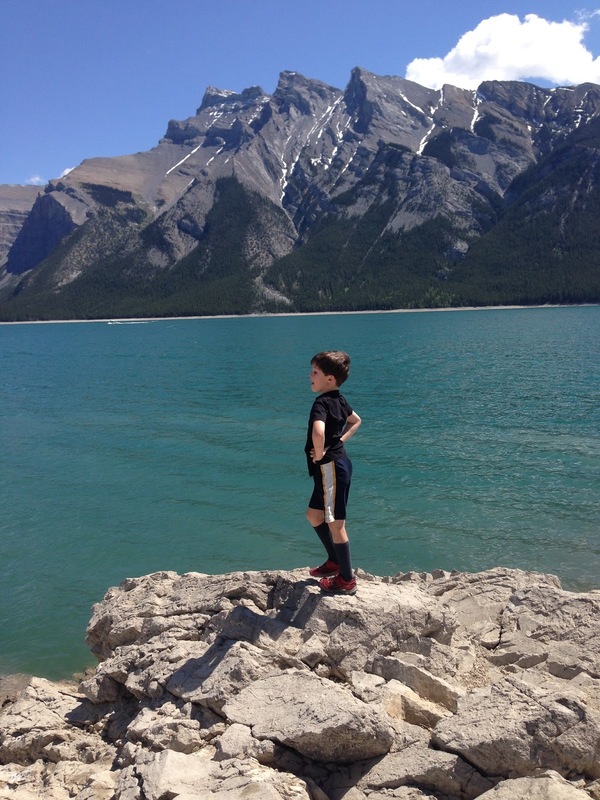 I thoroughly enjoyed my weekend in Calgary, providing the national half marathon broadcast for athleticscanada.tv at the Calgary Marathon, and spending time with our 7 yr old son who went with me, and Jonathan’s family, which included a gorgeous afternoon in Banff. In the last 8 weeks I have averaged a mere 60 km/k of running and 10 h/wk of training (running, pool, bike) with the usual weight-training and preventative maintenance routine. I had some sort of speaking engagement or media commitment every day since my return from Calgary and attempted to keep up with the usual housework and busyness that comes with 1 dog and 3 active kids. Of course, I have certainly included a wide variety of sweets back into my diet, something I enjoy after every marathon. From warm chocolate brownies with vanilla ice cream to carrot cake and pecan squares from Sweets bakery, I have almost had my fill. Not sure I will get one of my Aunt’s butter tarts this time but I will, no doubt, end with another peanut buster parfait, before commencing another marathon build. After reading about my Rotterdam recovery, it should come as no surprise that I have decided to forego running for Canada at the Pan Am Games (July in Toronto) and World Championships (Beijing in August). Deciding not to compete for my country was certainly difficult. But attempting to train and compete so soon would risk injury and jeopardize competing my best at the 2016 Olympic Games. Most marathoners run two quality marathons per year and I am definitely one of them. So, I continue to recover and enjoy my off-season while slowly building my mileage and balancing my other areas of life before getting back at it again. Ben Kaplan. What a man! 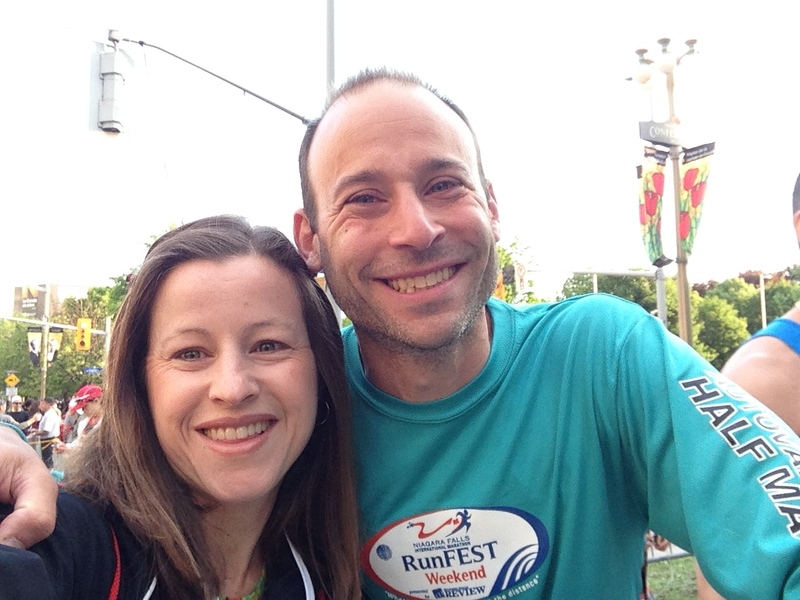 He works the expo for iRun all weekend, on his feet, AND runs the marathon! Great to be part of the iRun team with you! It was so fun to see a marathon finish from a new perspective. Post-race interviews were a blast. I must say, I certainly saw a fair share of vomiting that morning! 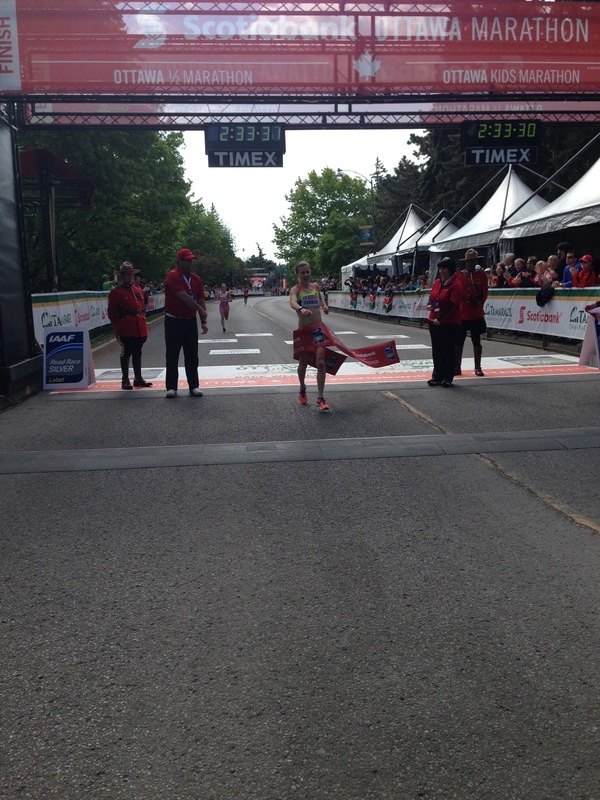 Amazing marathon debut of 2:33 for fellow dietitian and friend, Rachel Hannah. Ottawa 10 km, National Championships. Photo credit: Rob Brouillette. Stunning views in Alberta. Beautiful Banff. Beautiful boy. Life is good. Smelling the roses is wonderful. So glad we spent the afternoon in Banff, after the race and before our flight home. We had a few challenges with the broadcast but had fun and got the job done! Click here for the entire broadcast. 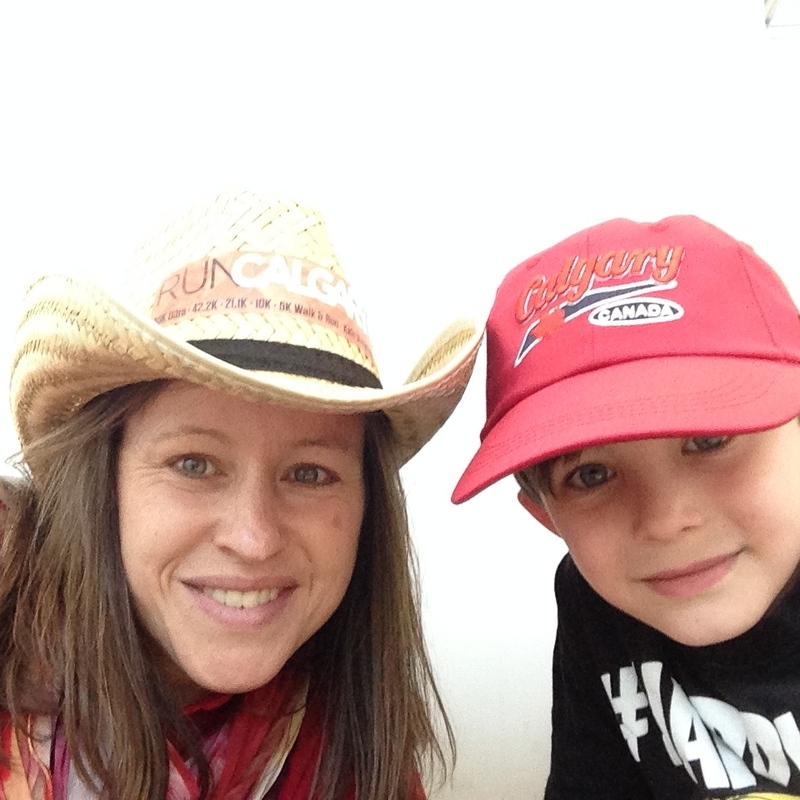 A little selfie fun with our Calgary hats before flying home.